As much as we try, we can never seem to get the same finish in our home as a professional cleaner does – I guess that’s why they are the professionals! So what is it that they do that is so different? Here are some of their top tips to help you get that professionally cleaned feeling in your home, without the price tag! It’s easy to buy every gimmicky item that they show on the home shopping channel and believe it will be the thing that makes your house sparkle, but actually, you don’t need any fancy gadgets! In your cleaning caddy, make sure you have some sponges, some good quality microfibre cloths, a handle and detail scrub brush, a scraper, a microfibre mop, a microfibre duster and a vacuum that works on both hard floors as well as carpets. With these, you can clean your house from top to bottom! A toothbrush (one that isn’t going to be used!) is going to be one of the best tools in your arsenal. It can act as a grout cleaner, get in small spaces and clean vents, plus it won’t cost you anything extra as you can efficiently use an old one! You don’t just have to use your dishwasher for dishes and cutlery! If you’re doing a big clean, stick your toothbrush holder, dish drains and any other plastic, glass, metal or ceramic items from around the house that could do with a good clean – you will save yourself hours! When it comes to cleaning your kitchen, first place your drip pans, knobs and stovetops to soak in hot soapy water. Then, always start to the right of your stove and work clockwise around the room. This will make sure you don’t end up spreading the dirt and grease from your stove around the rest of the worktops, and also gives things time to soak. You could even put oven cleaner on your stove to settle before you start the rest of the room. When you start vacuuming, begin from the corner that is furthest from the door. Use slow, strong back and forth movements that overlap to ensure you get all of the dirt. By the time you reach the door, you will have an immaculate carpet and no footprints to see either! To DIY your own all-purpose cleaner, you need just four tablespoons of baking soda and 1 quart of warm water, poured into a clean spray bottle. This will be perfect for everyday cleaning of counters, appliances and inside your refrigerator and you can probably make it with the ingredients you already have at home. It stands to reason that your garbage disposal might get a little smelly – after all, it’s where all your leftovers go! However, it doesn’t have to stay whiffy, just run a through lemon rinds through it and finish up with some cold water for a fresh smell! 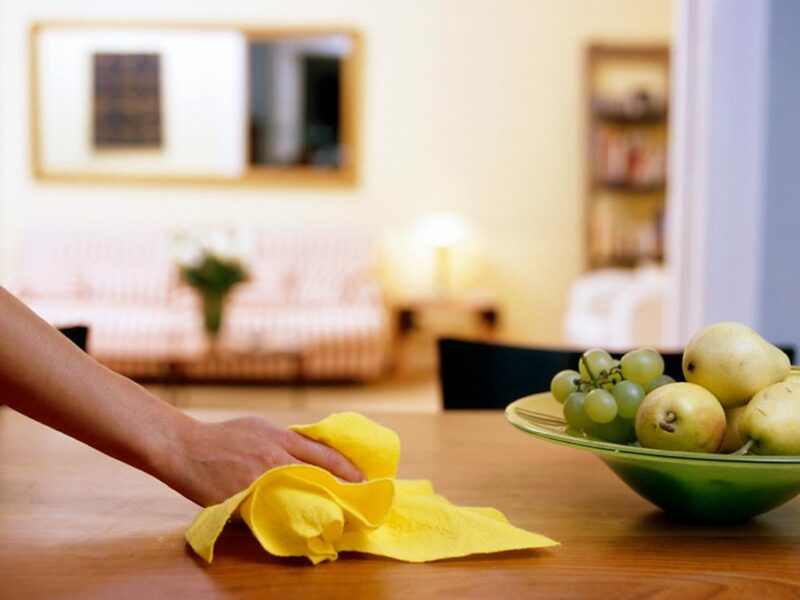 You don’t have to shell out for pricey gadgets or a professional to clean your home. Just follow these tips and keep on top of it!